Determining what fillers will give you the best results takes more than a cursory glance. Often what might appear to be the obvious is not what the needs are at all! View this patient assessment with Dr. Fitzgerald and colleague Dr. Danny Vleggaar. Discover how and why anatomical structures play a big part in the successful use of dermal fillers. You’ve seen overdone or obviously done lips and maybe snickered or pointed – But what do you do when it’s YOU who’s being pointed at? When a lip augmentation “goes bad”, is there anything you can do? As long as a hyaluronic acid filler was used, you’re in luck, because there IS a fix. Ready for instant gratification? The newest filler available, Juvederm Voluma XC creates immediate results – as in you’ll leave the office looking younger – plus has remarkable staying power – up to 24 months. The mistake many patients make (and many physicians too) is choosing to focus ONLY on the lip itself. Read more about Tips for natural looking lip plumping? Whether to choose Radiesse, a Hyaluronic Gel like Restylane Lyft or Sculptra for cheek augmentation will depend a great deal on how your face is proportioned and what may be happening due to volume loss or genetic volume deficiency. Read more about What’s the Best Choice for Cheek Augmentation? Watch our Sculptra Video and Learn more about the benefits and techniques of sculptra for facial rejuvenation. Sculptra Video: Hear from Dr. Fitzgerald’s patients how Sculptra changed the way they felt about themselves. 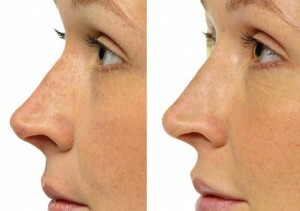 Sculptra has unparalleled ability to make subtle changes in your facial contours. Dr. Fitzgerald maintains a strict treatment process that assures you will look totally natural during and after your treatments. The goal is to look better without anyone noticing a specific change. My concealer routine is taking up too much time in the morning. Do you have any longer-term solutions for under eye circles? ‘Tis the season. We’ve got the double whammy of holiday exhaustion yet wanting to look great for all of the parties and socializing. We wake up these mornings, look in the mirror and wonder if we’ve got enough concealer in the drawer to wipe out the blue. And will it stay on all day or wear off? Or will it creep into the little lines around our eyes? And how the heck can we ever get enough sleep to make a difference? If you wonder what’s in the syringe that’s used to fill in a wrinkle or a fold, restore facial volume and plump up lips, you’ll be glad to know most of it is pretty simple stuff! • Hyaluronic Acids (Juvederm, Restylane, and Prevelle) are made from sugar molecules. These molecules are chemically “cross linked” to turn them into a gel that lasts about 6 to 9 months. Read more about What’s in my Wrinkle Filler?